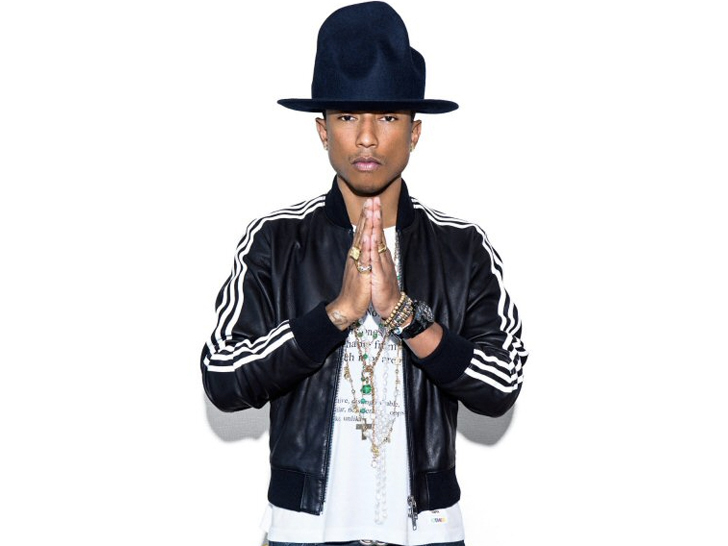 G-Star Raw isn’t the only fashion firm clapping along to Pharrell Williams’s beat. The award-winning musician-songwriter-producer has inked a long-term deal with Adidas’s “Originals” brand to create a series of products set to launch this summer. In addition, the sportswear-maker is collaborating with Bionic Yarn, Williams’s eco-textile company, and Project Vortex to spin plastic debris from the oceans into yarn and fabric, both of which will be incorporated in several of the upcoming products. “This is an exciting partnership for both me and for Bionic Yarn,” Williams says. This is the first time Adidas has partnered with a designer who owns their own textile company, according to Dirk Schoenberger, global creative director of Adidas sport-style division. (Williams also runs the Billionaire Boys Club, a label he founded in 2005.) He says he hopes this will mark the beginning of a “long-lasting relationship” with the artist. G-Star Raw isn't the only fashion firm clapping along to Pharrell Williams's beat. The award-winning musician-songwriter-producer has inked a long-term deal with Adidas's "Originals" brand to create a series of products set to launch this summer. In addition, the sportswear-maker is collaborating with Bionic Yarn, Williams's eco-textile company, and Project Vortex to spin plastic debris from the oceans into yarn and fabric, both of which will be incorporated in several of the upcoming products.